My recent post speculating on links between the Rite of Spring and Sufism quoted Turkish pianist Süher Pekinel on Stravinsky's "global understanding". One of classical music's most enduring works may or may not have its roots in Turkish-Islamic trance rituals, but it is incontestable that classical music has a long history of embracing Eastern traditions. This stretches from Mozart's Die Entführung aus dem Serail, through Rimsky-Korsakov's homage to Arabia Scheherazade and Mahler's setting of ancient Chinese poems in Das Lied von der Erde, to Britten's Curlew River based on a Japanese Noh play. But while classical music has a long history of fraternizing with the East, it also has a long history of moulding those influences so they, to quote Jordi Savall, "fit into the mental schemes of Western audiences". In the past this remoulding to Western tastes was a form of cultural imperialism, but today it has become just another part of the biggest single threat to classical music - suburbanization. Much, in fact too much, attention has been focussed on the dumbing down of classical music. But celebrity culture, Broadway musicals at the Proms, Classic FM, the cartoon classics of Sinfini Music, and vacuous BBC Radio 3 presenters are more than dumbing down. They are all strands of the remorseless suburbanization that is turning an art form into an entertainment as safe as a suburban shopping malls and as fashionable as caffé mocha. And don't let's kid ourselves it is just a few radio stations and websites that are guilty: suburbanization has infected the repertoire of leading orchestras and the commissioning budgets of most arts organizations, not to mention the writings of cultural commentators. And the ultimate irony is that the big new ideas to save classical music being peddled by so-called industry experts are no more than suburbanization by another name. 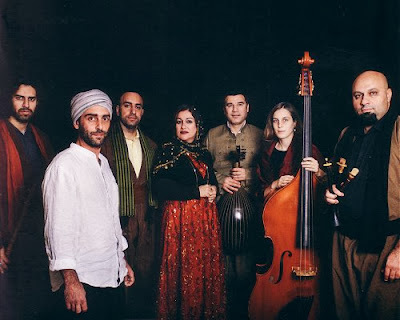 Nishtiman's music without borders has its roots in Shamanism and Sufism, but it is also music of the 21st century. Art music is a knowledge tradition and the 9th century Persian Sufi scholar Sahl al-Tustari affirmed that "the aim of knowledge is to make you surprised and confused". When were you last surprised and confused by suburbanized classical music? Also on Facebook and Twitter. Jerry Mander's In the Absence of the Sacred influenced this post, but no review samples were used in it. Any copyrighted material on these pages is included as "fair use", for the purpose of study, review or critical analysis only, and will be removed at the request of copyright owner(s).